Eric Borneman says the best way to ship sps corals especially is damp in a paper towel like LR is shipped. have any of you shipped damp? I would never ship sps damp. Personally, I am not comfortable with transhippers mortality rates. Im kind of funny in the sense I like everything to live all of the time. there is less mortality shipping damp not more. have you ever tried it? Eric has successfully shipped damp hundreds of pieces. saving on freight can be a benefit also for shipping corals, but is now not used for shipping corals just live rock which may not be benefited by the damp shipping. personally, i think the goal of all of us should be to keep an open mind to a better way. "I damp wrap everything except Seriatopora (submereged) and have had others do the same to ship to me, including USFWS. The paper towels used in public bathrooms are great (the brown ones), but any will do so long as they are perfume and softener free (don't use toilet paper or towels that fall apart when wet). Just take the coral from the water, dampen the towel in tank water, wrap lightly so as much of the tissue remains damp, and then put in a plastic bag with regular air (no oxygen needed - air has plenty of oxygen if not dissolved in water like in wet shipping). You can use styrofoam peanuts in the bag if you ware worried about the coral piercing the bag, but ultimately if it does puncture, no water leakage so no big deal. Then, the key is temperature control. Use heavy styrofoam and be sure to tape the styrofoam box with tape - no air gaps. Use heat or cool packs taped to the inside lid as necessary (no contact with shipping bags). Ship as normal. No acclimation needed, just put directly back in tank. On some species, you may some brown on the damp towel, but that's just a minor stress bleaching and you probably won't even notice it on putting it back in the tank. I think I have shipped just about every coral or at least a similar species in this way with extremely low mortality and much better issues with acclimating, no fouled bag water, etc. Further, the shipping cost is a fraction of the cost and you can pack many more corals in a box. You can put multiple corals in the same bag of air, as long as they don't crush each other. I have shipped 20-40 frags in the same bag each wrapped in small pieces of damp paper towel and had no mortality and no acclimation with polyps out almost immediately after putting in the tank. Note: Do not take six pieces of styrofoam and line a box - temperature control is terrible. Use a real styro box with a lid." 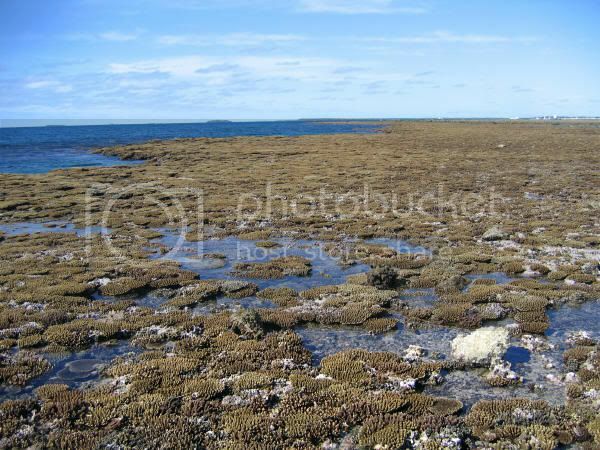 damp or dry corals are hardier than you think. 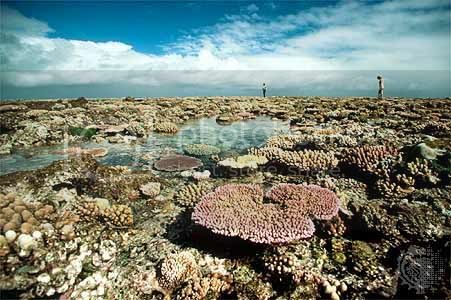 I have shipped countless corals as well, in all conditions and have experience shipping and recieving damp. The mortality rates are simply unacceptable. Again, I have this funny quirk about needing to succeed every single time which may set my methods apart. I wont ever ship damp, nor will I knowingly pay for any shipment that I know will be packed damp. I do absolutely agree with what he says in concern to using a "real" cooler. those makeshift seperate walled things are awful. sure they work most of the time, but you lose all real temp control, as well as the ability to truly control the environment with creative hot or cold pack application if you cannot hold the temp in the container. If you really think this "damp" method sounds so great, I encourage you to go grab ten pieces fo coral out of your tank. Pack them damp in a cooler just like you would be shipping them and even keep the boxes in yor fishroom for perfect conditions and taking out the fed ex drop kick and cook element. Take them out in 24 hours and report if every single one survived. For kicks......I just might do that just to prove what I *think*. I could even use a tough specimen of sps to give the experiment the greatest benefit of the doubt. Also keep in mind that frags, are going to be much tougher than colonies. Im not going to risk ten colonies just to prove a point, but I would venture to say the mortality rate of shipping actual colonies this way would be infintely worse yet. Maybe we could do this experiment together....you pull ten colonies out for a nice round number as a result....and I will pull ten frags. He mentioned seriotopa as not being a ccandidate for this. Singling out that coral seems a little odd to me. It is mostly the thin branches of the seriotopa that makes it a very poor candidate for shippign damp, although there are countless acropora (and other)species that woudl have the same problem with the core temp changing and flesh drying far too easily due to thin branches and slime production to be a good candidate for shipping damp. Last edited by flyyyguy; 07/05/2009 at 11:41 AM. i and many others would be interested to read about your experience with the "experiment". i don't have enough sps corals to do the trial. At what temps do you need a heat pack or ice pack? I still havent seen a solid answer in this thread. Can anyone give pointers? Problems should be corrected with this thread. Please report if not. do you know who Eric Borneman is? he is the author of a book i hope you have in your library, "Aquarium Corals" he has also written many articles for Reef Central over the years. this is the method public aquariums such as Waikiki and Steinhart in SF use to ship corals. you could ask Eric yourself your questions about shipping on the thread i linked to above. i think perhaps you are confusing LR shipping with corals. taking sponges on LR out of water to ship IS a bad idea. are you planning to do the experiment you suggested? i have a further suggestion for your shipping demo. in each box put one the normal way you do and put the same coral damp as Eric recommends, side by side in the same container with your perfect boxing techniques. The only difference I see is most aquariums fly there corals by plane so they could only be dry rapped for a few hours where fedex and ups is almost 24 hrs or longer. but again my questions is, when is an ice pack necessary? At what temps? I do know who eric borneman is as well as have and use his book often at times. At what temps do you need a heat pack or ice pack? short answer- assuming you are using a quality thick walled cooler sealed well so you have some real control of the environment inside the cooler......anything under 60 and over 90 I would say needs temp control help. If you use inferior packaging that window shrinks. Personally I use hot or cold packs in anything mid 80's and higher and low 70's and lower. There are many creative tricks you can do from how much your wrap and insulate the hot or cold pack from the corals as well as putting the hot or cold packs outside the box even, and even the thickness fo the cooler itself. Every shipping circumstance is a little different, you either have to ship lots and figure it out and/or play with different concepts at your home tio figure out what really works. We have no control of how fed ex or otherwise is going to treat this package and where it may end up sitting for extended periopds of time along the way. Plan for the worst and the temps both coming and going and you will be doing yourself a favor in the long run. You need to be especially careful with hot packs, you are playing with fire if you use them improperly. Cold packs too but I have seen a coral survive water 40 degrees under temp. 10-15 degrees over in the bags and sps especially will simply be smelly water and skeleton on arrival. I am thinking about shipping a frag pack and would like to know how to calculate the shipping cost without actually bagging everything up and taking it to the shipper. It would be 11 individually double bagged frags in a styrofoam lined 10"x10" or 12"x12" box with heat pack or cold pack if needed. Current Tank Info: 29 gallon RR, 15 gallon sump, 175w mh, two 24" T5's. fill one bag with water multiply the weight by how many bags will be shipped then use the shipping rate calculators on USPS, Fedex and UPS. What cold packs are you guys using? I found these at WalMart but I wanted to be sure it was the right one. those are more or less it, but those are huge and would only be necessary in a fairly large box. go to your lfs and buy some frozen food. they will usually have smaller ones to spare for your foods ride home. More along the lines of a 3x5 size or even smaller if you can fidn them. To be sure, if they will fit in the box with plenty of room to seperate from the frags one tht big could work fine, but if using a quality cooler to begin with that is too much cooling power and could be dangerous. A little dab will do ya as long as your packaging maintains temp to begin with. quick question... i am shipping a clam out. Temp in my location will be 69 during the day, 55 at night. The location its going to will have a temp of 84 during the day and 68 at night. Can someone tell me if i can shipout without a heat pack? sound slike a prime circumstance for a 8 hour heat pack. It will burn out by the time you dont want/need it anymore. be careful though as those short time ones burn hot. make sure it is well insulated from the clam by either wrapping/inuslating it well and keeping it at least a few inches from the bag with the animal in it, or simply tape it to the outside top of the box if using a quailty thick walled cooler sealed well. damn the only ones i have are 30 hour heat packs. You can actually tape the heat pack on the outside top sytro and they still work? Can i use the 30 hour one and take it like you mentioned with a piece of cardboard in between with no issue? i will be shipping it a uline syro box. What would you do in this situation? 8 hour or 30 hour heat pack on the outside? What would you do in this situation? 8 hour or 30 hour heat pack on the outside? as first saud, I would do an 8 hour on the inside. just dont take it for granted. that thing can get hot and you want to wrap it in at least a few layers of paper and newspaper and tape it to the top, and have several inches of insulation like peanuts or wadded up newspaper between it and the bags. How would I package these frags? In there own individual bags, or maybe like ten in each bag? How would you guys ship 40 zoa frags???????? How do you go about shiping through fedx? I went in to fedx and asked them if i could ship coral through them and the lady said they only ship live stuff for pet stores. I explained to her how that was not true because i had received shipments from private sellers before. She pulled out a rule book and showed me. So do you just not tell them what's in the box? I gotta 7" clam to ship from CA to Florida and Fedex business rates. I think I'll do the bag w/ a lil air in the tefloned ziploc screw top (if I can find a big enough one) all filled w/ water and some peanuts. Then, in another bag, then peanuts bubbles into styrofoam box with 1-30 hr heat pack and 1-8 hr heat wrapped in paper taped on the inside of box. Glue gunned and taped shut. Then fitting box. Is this too much heat? how about size of styro box for this one? also, I recall some posts talking about how to declare and claim the corals as something else when insuring them through fedex because they will not insure corals. Does anyone know how to do this?? It's a bit fraudulent- I know.